Today we’ll show you 10 essential metrics and reports you’ll check on a regular basis to gain valuable insight into your Facebook Messenger marketing campaigns. 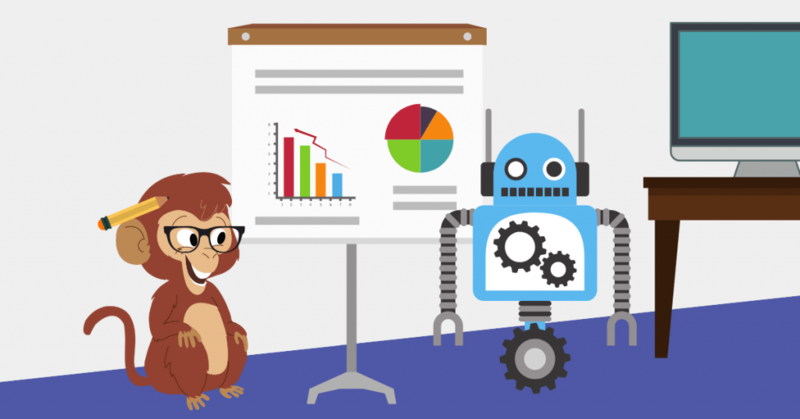 So here are 10 chatbot analytics reports in MobileMonkey, Facebook Ads Manager and Facebook Insights to monitor and assess your chat marketing strategy. Building an audience is essential for success on any channel. After all, your campaigns can only drive results if people are actually reading the copy and content you’re creating. And monitoring your audience growth is easy with MobileMonkey. You can find this information by selecting Bot Analytics in the main menu. The first metric graphed on this page is your total contacts over time. Use this data visualization as a general overview of your audience growth and keep an eye out for any major changes. A bit of fluctuation is normal, but the ideal here is steady growth. If you notice any stagnation, examine your Messenger campaigns to see if they correlate with a gap in campaign activity, like a slow down in Chat Blasts or Sponsored Message. This is a big-picture metric that will help you examine your overall campaign success and performance. Beyond tracking your overall number of contacts, it’s also helpful to monitor how many new Messenger contacts your strategies earn. You can find this information in the Bot Analytics tab of MobileMonkey following the Total Contacts report. Within this graph, pay special attention to any spikes and see if you can attribute them to specific list-building strategies. For example, if a spike in contacts correlates with a click-to-Messenger campaign, this indicates that your campaign was highly effective. And if a bigger spike correlates with something else, like the launch of a Comment Guard Facebook post autoresponder, you know that tactic was even more effective in growing your list. Keeping an eye on these increases is a great way to determine the best ways to engage new users and can help you make better decisions about which tactics to prioritize in your Messenger efforts. Chatbot forms are a great way to earn leads through the Facebook Messenger platform. They’re simple to set up, quick to fill out, and walk users through the process of providing information with multiple-choice questions, text fields, and even pre-filled information. And tracking your conversions is easy within MobileMonkey Bot Analytics. 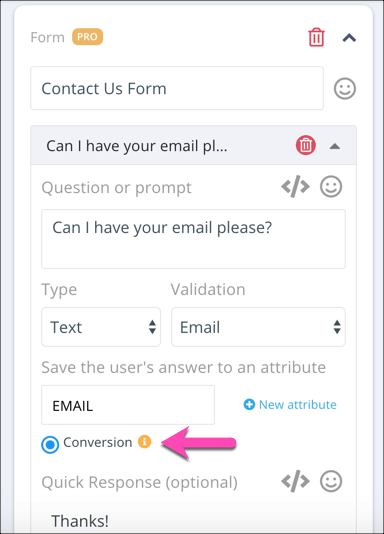 Here’s an excerpt from the Chatbot Master Class about reviewing your form conversions in MobileMonkey. Monitor how many conversions you earn through your chatbots, and whether you can attribute any spikes to specific campaigns. The better understanding you have of which tactics are most effective for earning new leads, the better you’ll become at designing workflows that convert. And if you’re not yet using conversions to track form submissions, it’s time to start. First, create or edit your chatbot’s form using the form widget. Test out a simple form in Messenger here. The form widget can be used to collect all of the information you might need from a potential lead or customer in the form of either free-form text or multiple choice questions. It can also present the user with details that Facebook already has, like their phone number, email address, and location, then ask them to confirm that the information is correct. This makes the conversion process as simple as possible for the user. And you can use your forms to earn any kind of conversions you want, including event registration, quote requests, or even appointment creation. Then, once you’ve added all of the fields and options you want to include, you’ll need to determine how far into the process a user needs to get before you consider it a conversion. For example, let’s say your form asks for the user’s phone number, email address, and a few details about the service they’re interested in. You might select critical lead data such as their email address to be a conversion point on that form. Then, whenever a user reaches this point in your form, they’ll automatically appear as a Conversion in the Bot Analytics report. For more information creating effective forms, check out our Messenger conversion form tutorial here. The last metric you’ll find in the Bot Analytics tab is Sessions. In this context, Sessions refers to the total number of conversations your chatbot has with customers. Monitoring this metric is an easy way to see how active your chatbot is over time and how many users engage with it. Like the other metrics in this tab, you’ll want to pay special attention to any spikes to see if there are any periods of time during which your chatbot’s engagement is particularly high. If a sudden increase correlates with a click-to-Messenger ad or Sponsored Message campaign, for example, it’s fairly easy to attribute your sessions to those advertisements. If you notice spikes when you weren’t running campaigns, however, determine whether you were running any other promotions during those time frames. A sudden increase during a 20% off sale, for example, could indicate that your customers are more likely to engage with your chatbot when you’re hosting sales. Using this insight, you might choose to add more sales-focused content to your chatbot to better assist customers in the same situation in the future. Chat blasts are essentially the Facebook Messenger equivalent of an email blast — but with 10x the open rate and 4x the click-through rate. So when you send a chat blast, you can expect to see strong results. And you can easily evaluate whether it meets those expectations using the metrics included in MobileMonkey’s Chat Blaster. On the main page, you can see an overview of all of your campaigns, along with the open rate and response rates for each. You can also view more advanced reports by clicking the “View Report” button for individual Chat Blasts. Here, you’ll see a breakdown of your open rate and response rate, graphed based on the time from when your Chat Blast was sent. 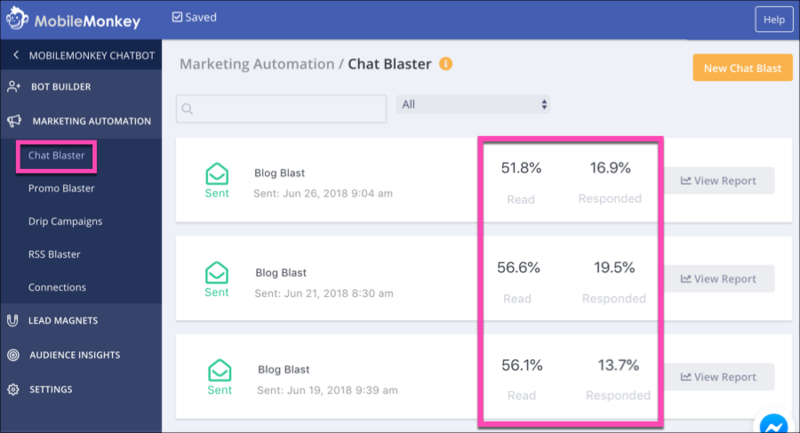 This is a great way to visualize the rate at which your Chat Blasts drove your visitors to take action. It’s also a helpful way to understand when your audience is active on Messenger. If you notice a spike four hours after you sent your message, for example, this could be a better time to send future campaigns. Using that insight, you can schedule your next Chat Blast for a time when the majority of your audience is likely to see and open it. In order to get the results you want from Chat Blasts and Drip Campaigns, you need to maintain a solid contact list. And while earning new contacts is an important step towards reaching this goal, you also need to be conscious of keeping users subscribed once they become a contact. This means paying attention to your unsubscribe rate for each drip campaign and blast. And you can find this information within Chat Blast and Drip Campaign reports for each in MobileMonkey. Depending on the shape of your open rate trajectory graph you’ll see how scheduling, time of day and day of week, for instance, and other factors impact your open rate and click-through rate behavior. In order to get the results you want from chat marketing, you need to be conscious of keeping users subscribed once they become a contact. This means paying attention to your unsubscribe rate for each drip campaign blast. In the Drip Campaign report, you can see the number of people who unsubscribed after receiving each message in your campaign. Based on this information, you can determine if (and where) you’re losing contacts in a campaign. If you notice that certain messages are leading to high unsubscribe rates, edit or remove them to reduce the number of contacts you lose, and improve your overall campaign results. You might have seen our CEO and founder Larry Kim’s tell-all about how his Facebook business page was banned from Facebook Messenger due to a high block rate. 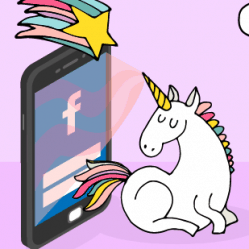 Review this cautionary tale for marketing lessons and deep insights about Facebook Messenger rules and tailoring your messaging to brand affinity. To view the block rate for your Facebook page bot, go to your business page and access the Insights tab. Select “Messages” from the left menu. Here, you’ll see an overview of all of the Messenger analytics Facebook provides, including total conversations, response rate, and deleted conversations. It’s important to note that this report also includes data from any conversations you (or your team) have with customers — not just chatbot interactions. Still, it’s a helpful way to get an overview of your Messenger performance. And within this report, make sure to take a look at the number of times your page was either blocked or marked as spam. A small number of blocks and spam reports is normal but if a large percentage of your audience is taking these actions or you see a sudden spike, this could indicate a serious problem. Keeping an eye on these metrics can help you eliminate any campaigns or tactics your audience doesn’t respond well to, and ensure that you’re delivering the kind of content they want to see. If you use Messenger Ads as part of your marketing strategy, you’ll want to monitor and analyze their performance regularly. Fortunately, the Facebook Ads platform provides plenty of information you can use to gauge your results. And the most important metric to keep an eye on is Conversations Started. As the name implies, this metric tells you how many users either clicked on one of your Sponsored Ads in Facebook Messenger, or clicked the CTA on a Click-to-Messenger Ad to send a message to your business. In addition to this metric, you’ll also want to pay attention to New Conversations Started. This tells you how many users engaged with your page in Messenger for the first time. Facebook also gives you the option to track the average cost for each of these types of engagements. This way, you can not only gauge how many new conversations and contacts your campaigns are earning, but also how cost-effective those campaigns are overall. You can access each of these metrics within the Facebook Ads platform, and you can also simplify the reporting process by customizing the columns in your ad reports in Ads Manager, and adding these metrics to your standard view. Alternatively, you can create a preset report that only includes Messenger-specific metrics. 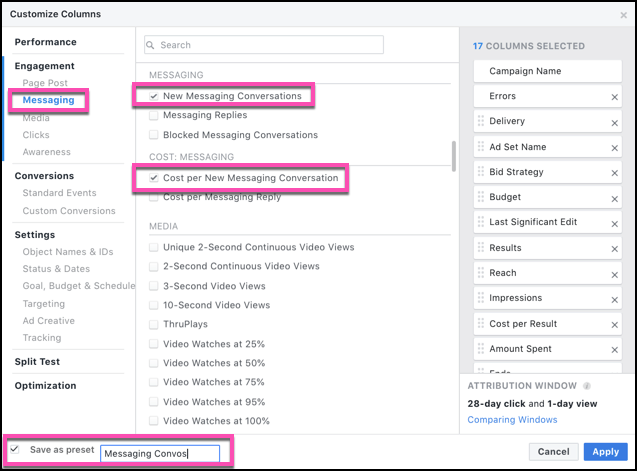 After you’ve selected all of the metrics that are relevant to your Messenger campaigns, check the “Save as present” box in the lower left corner and give your report a name. This way, you can access the Messenger metrics you need quickly and easily, and without sorting through other irrelevant data. Watch this excerpt from MobileMonkey’s chatbot marketing training to learn about how powerful Facebook ads with chatbot landing pages are. 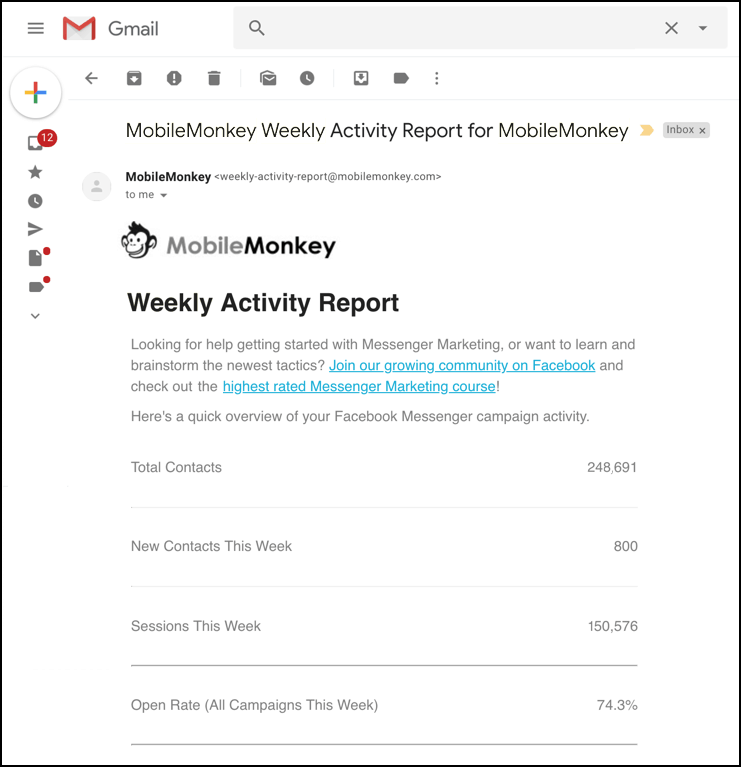 One of the easiest ways to stay up-to-date with your Facebook Messenger performance is by opting into the MobileMonkey weekly activity report email. This way, you can get a quick overview of your campaign performance, and see that your sessions are strong, your contacts are growing, and your chatbots are getting the results you want — all delivered directly to your inbox. 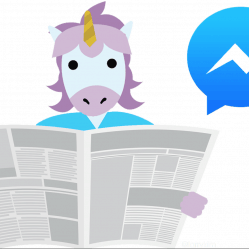 These 10 critical reports all offer different views of Facebook Messenger chatbot marketing campaigns. 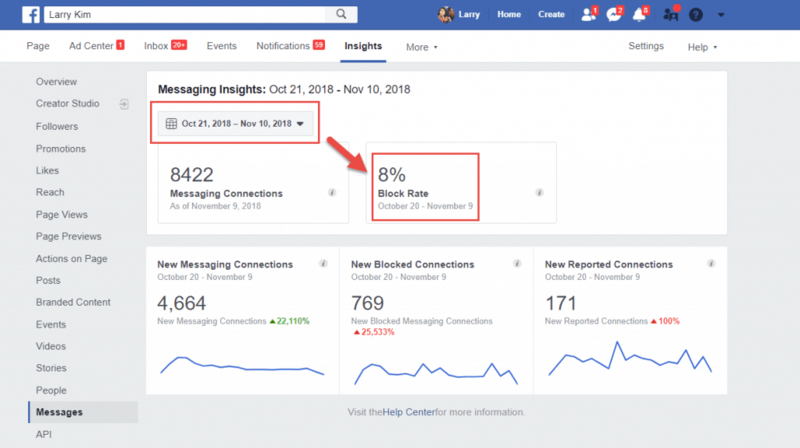 You’ll need them to watch the total contact growth over time, as well as individual campaign results from your Facebook click-to-Messenger and sponsored message ads, chat blasts and drip campaigns in Messenger. 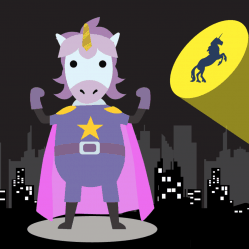 Think something’s missing from the 2019 guide to chatbot marketing analytics? Please share in the comments! 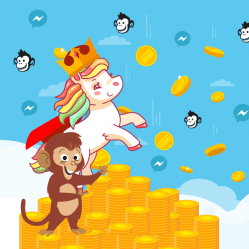 Join the MobileMonkey Island private Facebook group to connect with other marketers, share chatbot building tips, and learn more about using Messenger to reach your marketing goals.